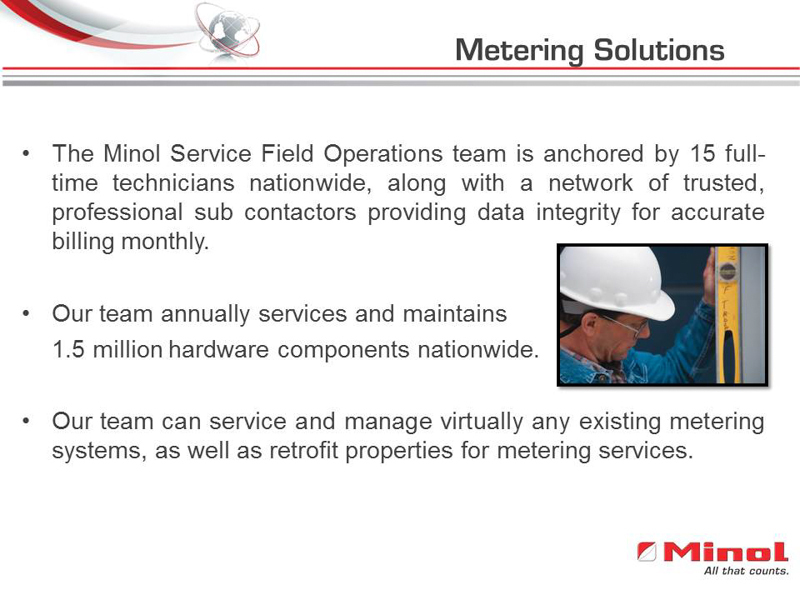 Minol brings more than 50 years of submetering experience to each installation. 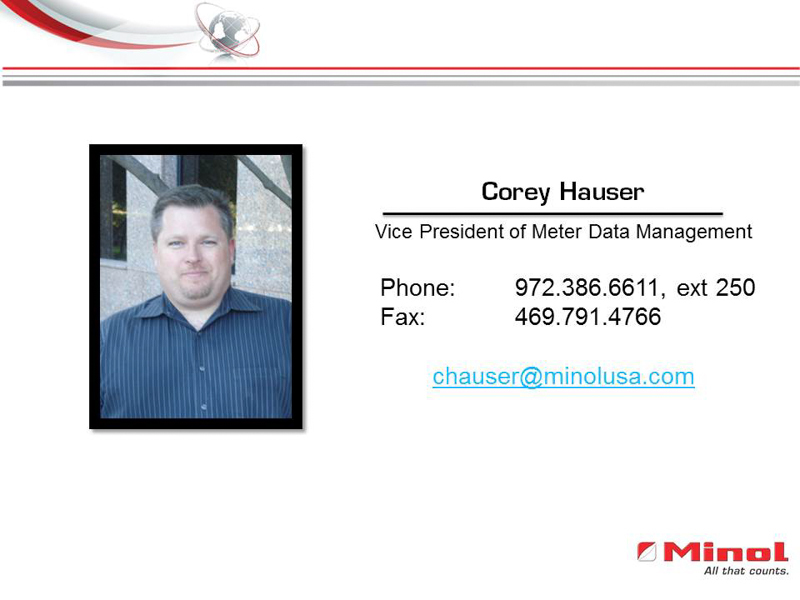 Our nationwide team of certified technicians can service and manage virtually any existing water, gas or electric metering system, as well as retrofit properties for metering services. 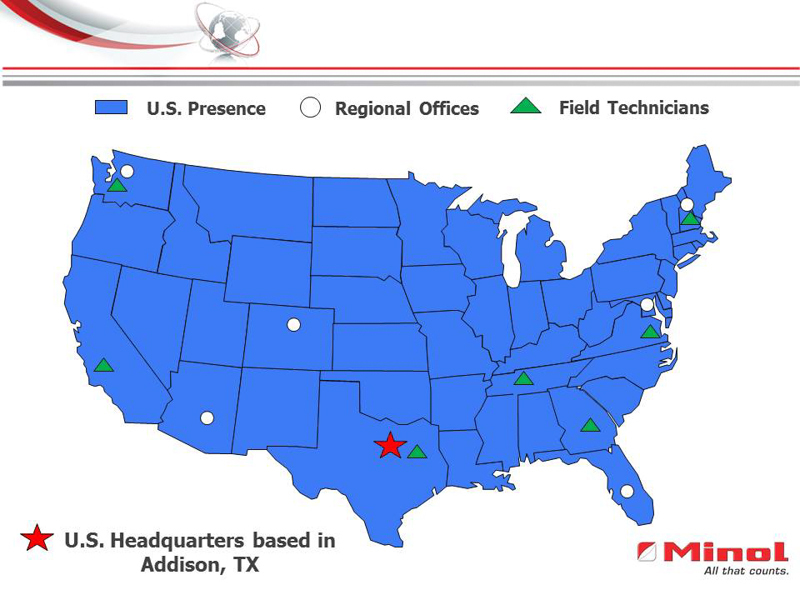 We successfully service and maintain 1.5 million hardware components nationwide each year. 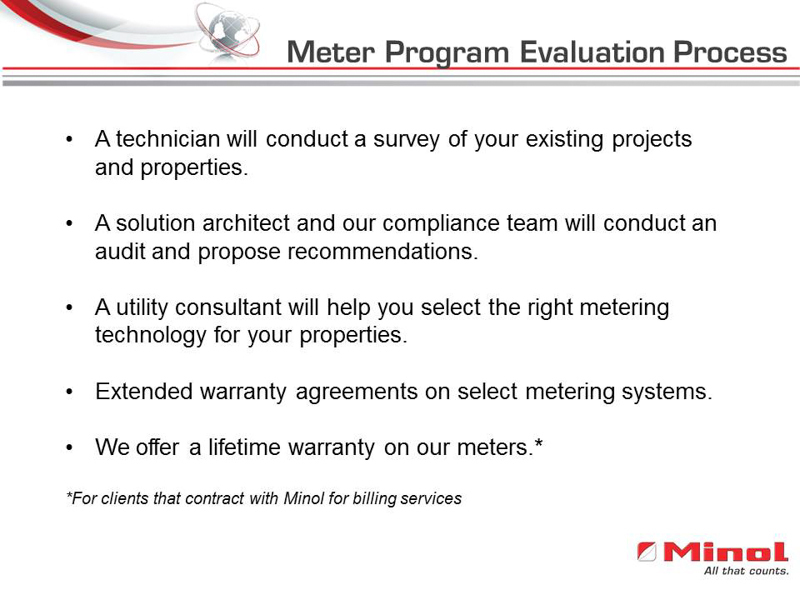 A technician will conduct a survey of your existing projects and properties. A solution architect and our compliance team will conduct an audit and propose recommendations. 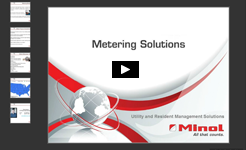 A utility consultant will help you select the right metering technology for your properties. 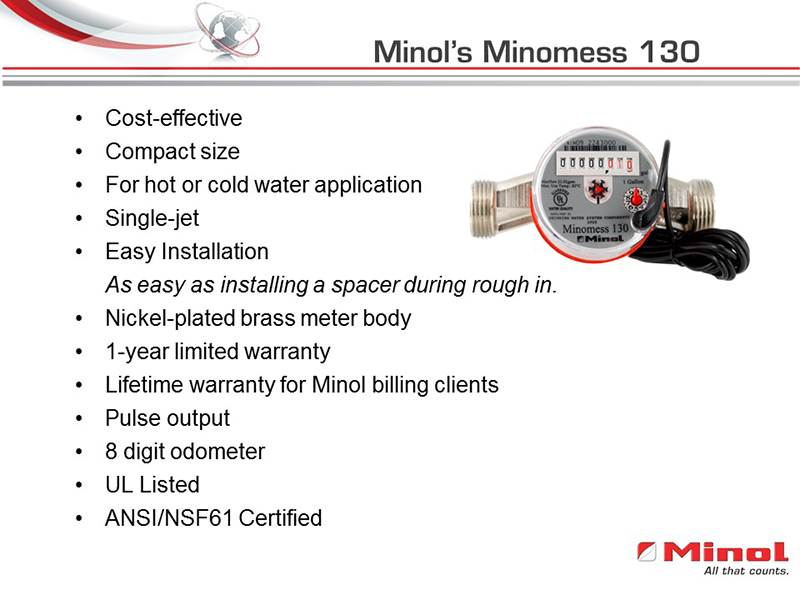 Extended warranty agreements on select metering systems. 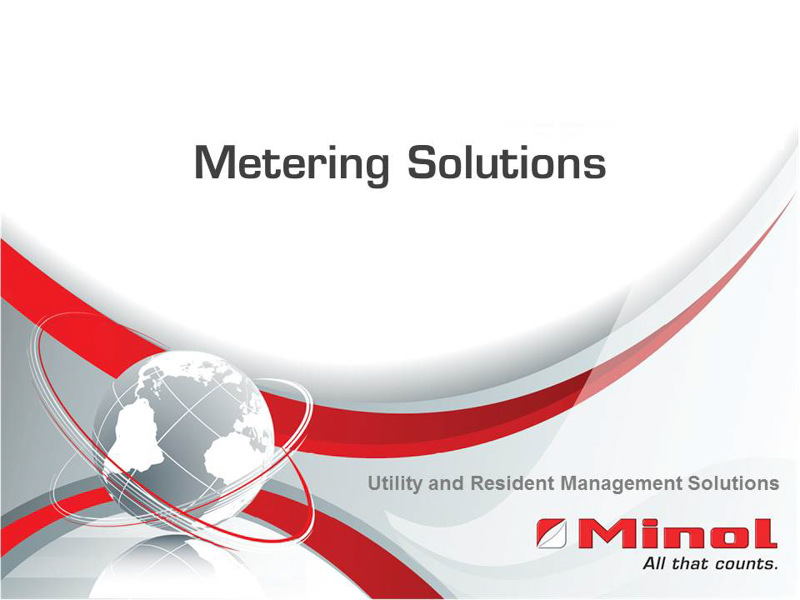 * For clients that contract with Minol for billing services.